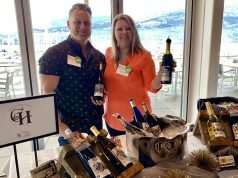 NEW MOVIE: The Hate U Give Q&A - Gonzo Okanagan Online News, Music, Technology, Sports, Film, Arts & Entertainment, Culture, Wine & Dine... Life! 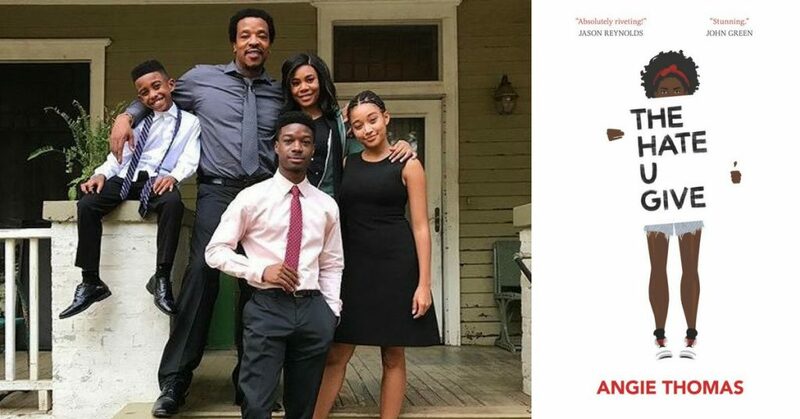 Amandla Stenberg, Russell Hornsby, Regina Hall, Algee Smith, Dominique Fishback and director George Tillman, Jr.
Left to right: George Tillman Jr, Amandla Stenberg, Russell Hornsby, Algee Smith, Regina Hall and Dominique Fishback. 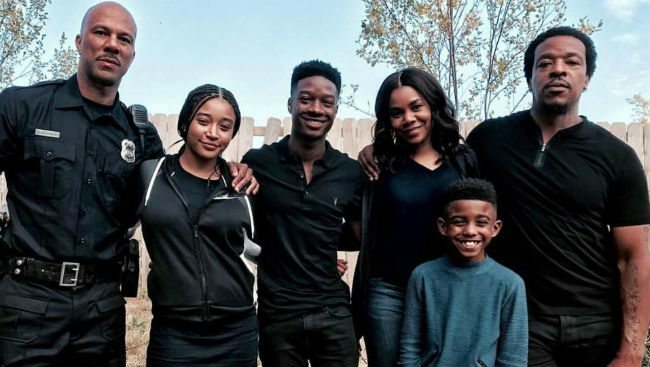 The Hate U Give is a powerful movie that you’re going to be hearing a lot about at the end of the year when it comes to awards. 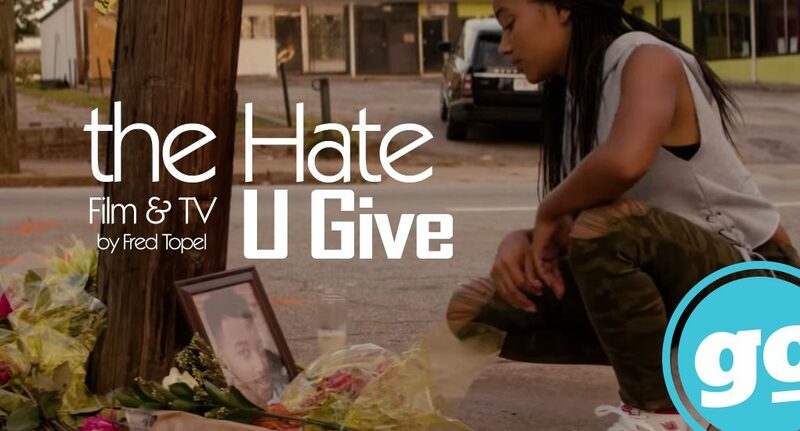 Based on the novel by Angie Thomas, adapted by the late Audrey Wells, The Hate U Give is a drama about how police violence impacts a community, a family, and one woman. Starr (Amandla Stenberg) is a passenger in the car when Khalil (Algee Smith) is pulled over in a traffic stop. The cop mistakenly identifies a weapon and shoots Khalil, placing Starr in the position of witness and activist. Russell Hornsby and Regina Hall play Starr’s parents and Dominique Fishback plays her friend Kenya. 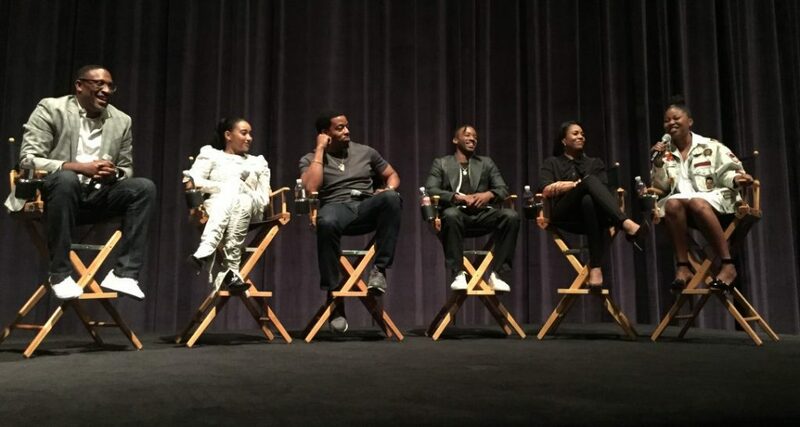 Gonzo got to attend an early screening of The Hate U Give on the 20th Century Fox studio lot, followed by a Q&A with the cast and director George Tillman, Jr. The Hate U Give is now playing in select cities and opens everywhere October 19. Gonzo: Were there long discussions about walking the line and preventing it from becoming maudlin, or was that all in the book? George Tillman, Jr.: We always think about that. I think our rehearsal time did a lot in terms of what we wanted to achieve, establish relationships in terms of what we try to do is find honesty. So I think that two and a half weeks we had together, we were just all having the same vision. Russell Hornsby: Yeah, I think we were always talking about not getting it right or wrong but being truthful, being honest. Being honest to the source material which is the book. The truth is, from my standpoint, it’s not about necessarily the talent you assembled but it’s about the humanity you assembled. I think everyone came with a graciousness. Everyone came with a sense of integrity and purpose to the work and opened themselves and opened their hearts up. I felt like there were no egos on set. We were having fun, we were laughing. We understood the gravity of the work but we didn’t let it weigh us down, I felt like. So we had fun while doing something serious but being passionate about it. I think that was really important and I think George gets credit for that, for the cast that he assembled because they’re all just great people. Gonzo: When you’re casting, are you looking for great people in addition to great actors? George Tillman, Jr.: I always feel like auditioning or when you have the conversation, sometimes it’s not really about the material in front of you. It’s about the communications and the chemistry between the actor, the director and the cast. Just like me and Amandla or like Algee, that relationship was about carrying the spirit of the book and being able to relate to one another to carry out the vision. So a lot of that was just about having comfortability with each other and having the understanding of what we need to get out of the material. That’s how I always look at things. Gonzo: Do you credit the rehearsal period with your chemistry with the cast, or was it instantaneous? Amandla Stenberg: I think it was pretty instantaneous. I definitely credit the rehearsal period. 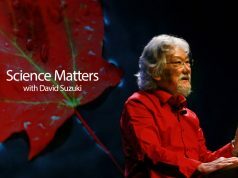 George had us do some really insightful, amazing just different demonstrations and rehearsal exercises that I think really helped us give us the basis for our relationships. And also just the freedom and the comfortability to know it was a safe place to explore and be authentic and be vulnerable. I think we were all unified as Russell said by this intention that we have with the work. I think we understood while we were working on it that it wasn’t just about us or even the film itself, but that this beautiful kind of meta thing happened in which we understood that through the film itself, we were protesting an institution that we didn’t believe in. So I think because we were rooted in that, we were driven by passion. We were driven by passion and that doesn’t always get to happen. So that was really special and I think it gave us a sense of community. It allowed us to be authentic with each other and be loving towards each other. Regina was always cracking jokes so that gave the set a lot of levity. Gonzo: What ended up being the most challenging part of the job for each of you? Russell Hornsby: The preparation. Just preparing. For me, I secluded myself personally for a month. I asked my wife to take the kids to the in-laws and what not. I wanted to use that time to get myself in that headspace for Maverick. I use that time as sort of his incarceration bid, his time spent. So I used that time to spend reading and listening to music and getting in that headspace. Regina and I had also had time to sit and talk and brainstorm and figure out who these people are. You do that and you build all these layers for the character. Once you have those layers, once they’re there, what you want to be able to do, you work so hard and you’re very intentional in what you’re doing so that once you get to set, you can let it go. Now, you can just be. Regina Hall: It was hard for me because my dog had just passed away. I don’t have a child so my dog was like my child. I think the day I found out that I got the part was the day they told me Zeus wasn’t going to live basically. He passed away maybe seven days later, six days later. Zeus, I believe his little spirit was on the set. So that was probably challenging but a lot of times in life you’re going through something. Even as an actor, I always have something that’s going on with the character that no one else is going to know. In life you’re usually having something go on but you still have to go to work. You still have to do everything so it wasn’t great but it was helpful. It was certainly helpful. Algee Smith: The most challenging part for me, other than the obvious, I would say maybe the casket. The scene where we did the casket day, because I just had to hold my breath in that casket for so long. And I was trying to stay into it so I didn’t want to get out of the casket. So would have maybe like a 10 minute break or maybe a 15 minute break and I’m just in the casket. I’m like this is so uncomfortable. It was definitely necessary but then I’m just holding my breath, but I’m just hearing as the scene plays on and sometimes Amandla cries a little bit longer in the next scene than she did before so I’m holding my breath a little bit longer this time. Dominique Fishback: when I was doing Kenya, whenever I was at home trying to do it or in a hotel trying to do it, it wouldn’t come the same way. So I had to then allow myself to say, “Well, Dom, you know this person like the back of your hand. When I got the sides, I said, “Okay, what is the thing that Kenya’s really trying to say?” The one line that stuck out to me the most was when she said, “You’re so lucky you go to a private school. You don’t have to deal with hoes like that.” To me, that was her saying that if she could be in Starr’s shoes then she would. She’s not going to flat out say, “I want to go to a private school like you” but if she had the chance, she would. From reading the sides the first time, that’s the line that I got and knew. So I felt deep in my heart that I knew her. Amandla: I think the most challenging part was to maintain that level of emotional tension and to recognize that this is real. It’s not something that stops when the cameras stop rolling. It’s something that is continuous, that is insidious and that affects our community in such a myriad of ways. I had this feeling of knowing that while we were making this film, we were honoring the lives of Michael Brown and Eric Garner, of Tamir Rice, of Philando Castlie, of Sandra Bland. 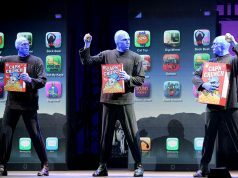 I had this feeling of feeling like they were watching over us and it was our responsibility to do them justice. And I think it was place for all of us to grieve as well and mourn. I didn’t know any of those people personally. I think that the set became a place of grieving and of upholding a space to honor. So I think emotionally that was the most challenging part for me, was feeling that weight on my heart and knowing that this was not something that was just within the confines of filmmaking. Gonzo: What was each of your first job in this business? George Tillman, Jr.: Well, the first job I had actually in Chicago, I was a production assistant. One of the biggest production assistant jobs I actually was when Spike [Lee] came in to shoot a commercial for Michael Jordan. So I actually had to drive Spike around a city. So I was always just hitting him up for ideas. I actually got him lost to the airport in Chicago actually, but that was my first job. Gonzo: Are you still in contact with him? George Tillman, Jr.: Yeah, I haven’t seen him in a couple years but he’s everybody’s mentor because he’s the godfather. Amandla: My first job ever was for a brand of dolls calls 5-sies for a commercial that aired on Nickelodeon when I was five years old. I was just a blurry image in the background of the doll but I was so excited. They were five dolls that were connected. Not a very strong idea. Five dolls. You couldn’t detach them from each other. This was the early 2000s, things were different. Russell Hornsby: Sophomore in college I did my first commercial, first job was an anti-smoking campaign. I played coughing all over the basketball court, couldn’t keep up but I got paid. Algee Smith: My first job was a Nickelodeon TV called How to Rock. I was 16 years old. This was my first time on set so I didn’t know what to do. Nobody was really giving me any type of guidance until we were about to get ready to shoot. So I sat down and in the episode I had to get spit in my mouth. So this girl spits from the top of the classroom to the back of the class, and you just see this spitball come. It was very stupid but it was my first job and it was good experience. Dominique Fishback: My first TV job was on The Knick opposite Clive Owen. I had like four lines. Dominque Fishback: But it was only the profile so only my family knew it was me.